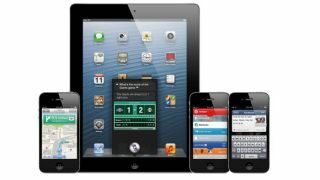 Not all iOS 6 features will be available in every country, so Apple has posted a list to help users find what features they can use at home. As expected, major features like maps, directions, music, movies, and the app store are widely available in as many as 150 different countries. However, more specific features like traffic data and business reviews on maps, only appear in North and South America, select European countries, South Africa, Australia, and New Zealand. Meanwhile a feature like 3D buildings on maps is only available in the U.S.
Voice dictation is also limited to only 15 countries, including the U.S., Canada, Mexico, U.K., France, Italy, Spain, Germany, Switzerland, Australia, Japan, China, Hong Kong, Taiwan, and South Korea. Siri is under similar restrictions, with Twitter and Facebook integration only available in those same countries minus China. Siri local search and restaurant search further remove Asia from the list of available regions, while Siri's ability to look up movie showtimes is only accessible from the U.S., Canada, and U.K.
On the other hand, notable new features for iOS 6, like the Passbook app and Facetime over 3G, appear to be widely available to all given their absence from the country-specific list. While iOS 6 is designed for the newly announced iPhone 5, it will also be compatible with the iPhone 3GS and above, both the new iPad and iPad 2, as well as the fourth generation iPod touch when it launches on Sept. 19.